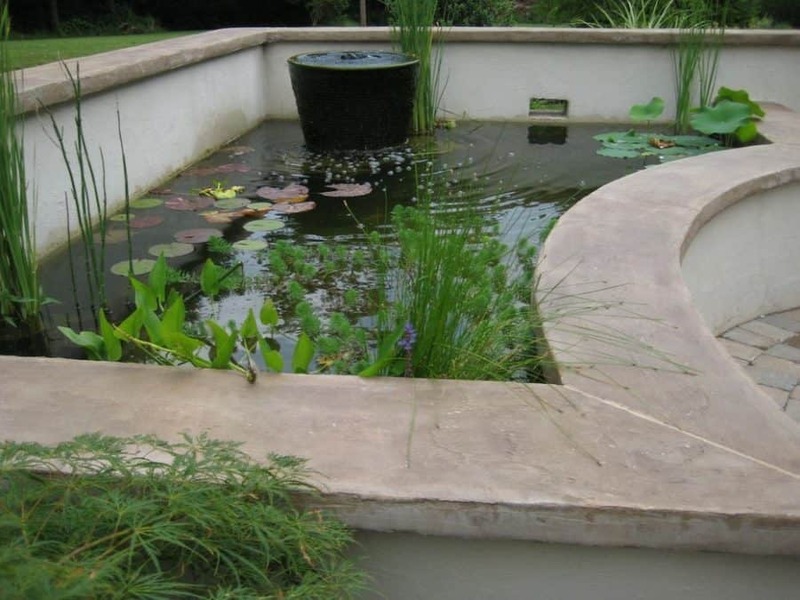 A koi pond is a beautiful water feature that can liven up any dull space. Imagine relaxing beside your very own gorgeous pond after a long day. The water running and the fish swimming immediately calm your stress and anxiety away. Plus, your landscaping will be at a whole new level of amazing. Check out these koi pond ideas to see how you can incorporate a koi pond into your yard. 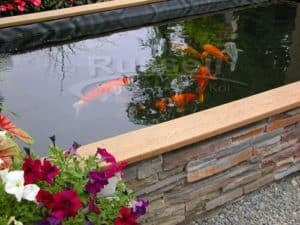 Over at Family Handy Man, they give you detailed instructions on how to make your very own stunning koi pond with a deck. It is elegant and the perfect place to get away. Check it out. 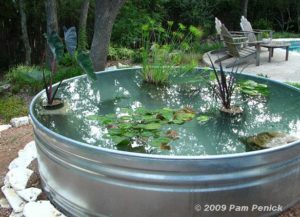 Empress Of Dirt shows you how to take an old, yucky bathtub and turn it into a gorgeous pond. Your landscaping is sure to have some extra character now! See how she did it. Who would have thought to make a pond from an old stock tank? Well, Pam over at Digging came up with this fantastic idea, and it turned out lovely. It is so beautiful and relaxing. Try it out. 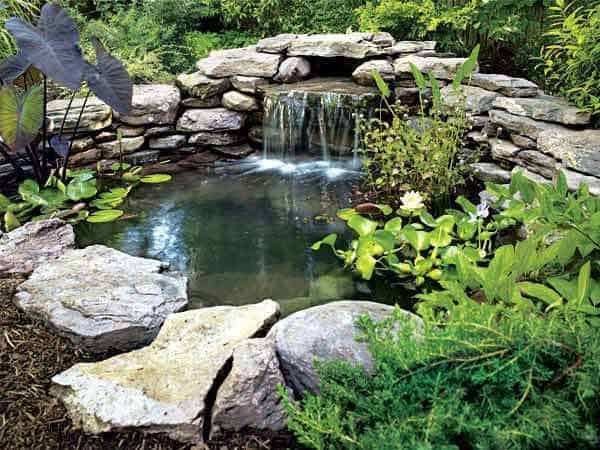 Oh My Creative gives you a detailed look at what it takes to make your pond with a waterfall. Add some fish and plants, and you will have a unique landscaping idea like no one else! Make your own. Over at Mom Dot, she built a gorgeous pond for her front yard. It is amazing how much character the pond added to their landscape. See what she did here. Finton at Instructables gives you a tutorial explaining how he turned old tractor tires into a fun fish pond. You can do it too! Just follow the steps here. Russell Watergardens explains all about how you can make a marvelous koi pond for your garden. I love how they give detailed instructions, so it takes the guesswork out of it. How they did it. Whats Ur Home Story shows you how to set up your mini water garden that will fit right on your porch or deck. It adds such a beautiful touch to your outdoor living space. Check out how they did it. 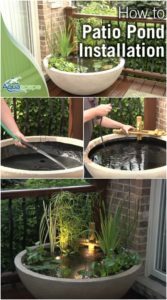 The WHOot share how to transform some tires into a koi pond that is perfect for your outdoor living space. You can add as many plants and fish as you want. See how here. Family Handyman shows you just how simple it is to make an above ground koi pond. This will save your back from digging, and it turned out fantastic. Find out how. Have you ever wanted to have a pond on your patio but you weren’t sure how to make it happen? Well, you are in luck because DIY & Crafts shows you precisely what you need to know. Make your own patio pond here. 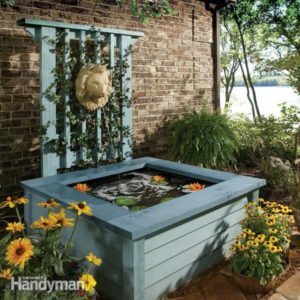 Jennifer at This Old House how to create an outdoor pond for your backyard that will blow your socks off! She also provides lots of helpful tips too! Your outdoor living space will be such a relaxing oasis! Do it yourself. Make your own ravishing backyard garden pond that your koi fish can enjoy! Empress of Dirt will show you exactly how she made her garden pond and how you can too. Don’t hesitate to get started now. Instructables has made a beautiful koi pond that you need to see. It does take some time and effort, but you will be left with a breathtaking pond that you will love! Check it out! Over at Let’s Go Junking was inspired to build a pond box which is essentially a pond that is above ground. They provide you with plenty of instructions on how to put one together yourself. See how they did it! 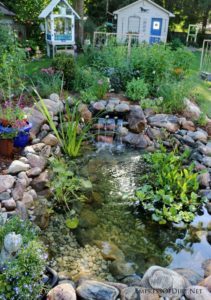 Joseph at Popular Mechanics has developed an excellent tutorial the explains precisely how to make your outdoor pond. It will take a couple of days to build this serene pond. Check it out! The Navage Patch has a 3 part series tutorial on how they made their gorgeous koi pond. After you see this, you are going to want to make one too! Find out how to make it. DIY Network gives you all the information you need to know about making a backyard pond with a waterfall in just a weekend. It takes some work, but it will end up beautiful! How they did it. Learning As I Go Tips made a charming koi pond with some hard work and some creativity. It turned out lovely! You should make one too. The Dollar Stretcher gives a guide to help you make a pond in your backyard in about a day. So, it is tranquil and straightforward to make! See their ideas here. 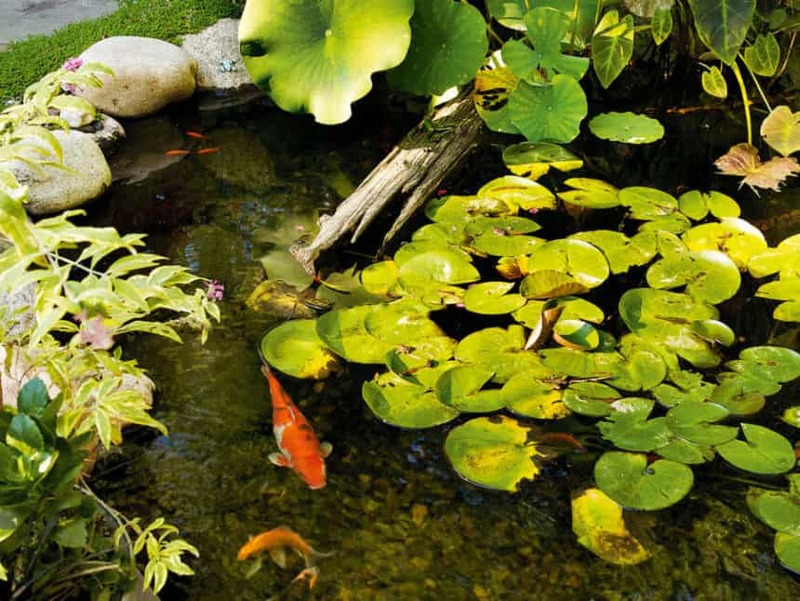 Lowe’s shares a guide to help you put in your pond and tips on how to maintain it. After you have your pond finished you can add some Koi fish, and you have a quiet resting place. See more here. 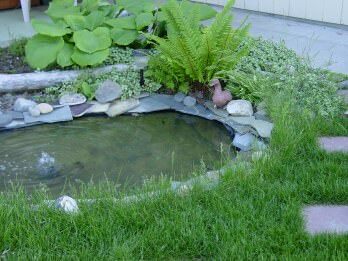 Heather at Gardening Know How provides information on how to make a small pond in your backyard. You don’t have to have a significant and fancy pond to enjoy it. Take a look. Doctors Foster and Smith share a very detailed look at what it takes to put in a koi pond yourself. They even added a waterfall. See how it looks. 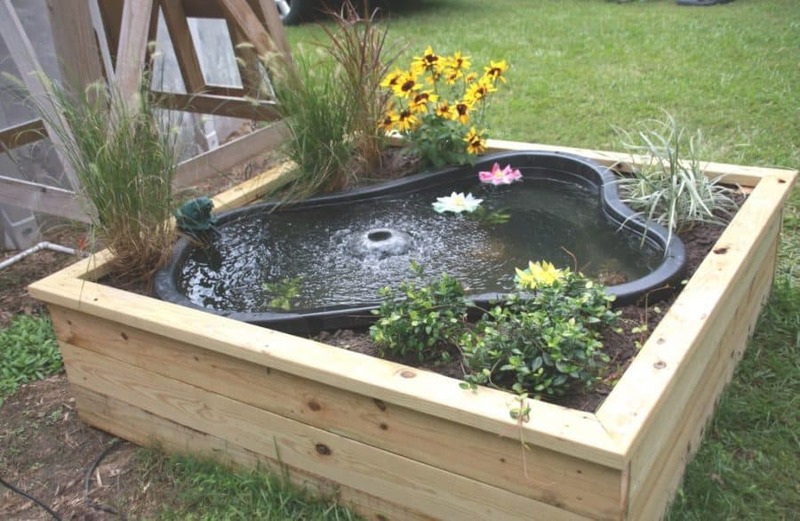 Over at the Gardening Glove, they have several inspiring ideas on putting in a pond. They even include a photo of their finished product. Check it out. Handyman explains how to put the pond in and how to select fish as well as plants. After you have your pond in place, you are going to love how peaceful it is. See it now. 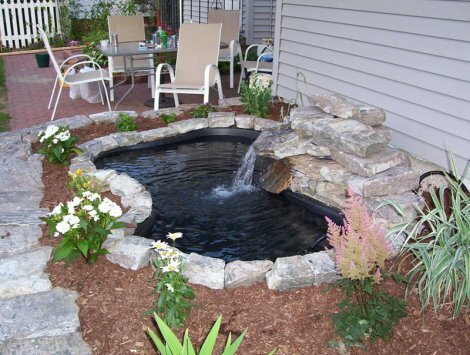 As you can see, there is a vast variety of ways you can install a pond. No matter which way you choose, I am sure you will be loving your new water feature and koi fish in no time. Which did you like the best? 25 Useful Outdoor Toy Storage Ideas to Keep Your Family Organized!